Sam Square's latest single, If you want me to go, was released in November, showcasing a bigger, cross-genre sound with his new band. To celebrate the release, we’re planning a night of alternative and electronic music, featuring material from our upcoming EP, demonstrating soulful songrwiting combined with electronic beats and soundscapes. 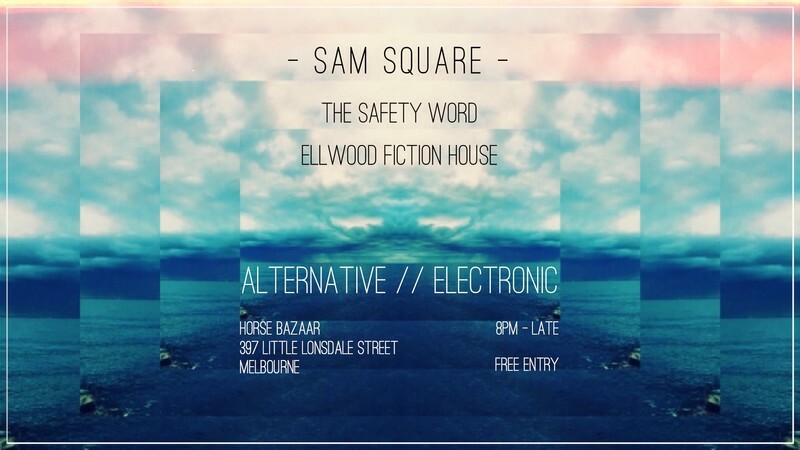 Sam Square will be joined by friends The Safety Word and Ellwood Fiction House. The Safety Word - Down tempo electronica with a twist of trip-hop and glitch. Thrown into the blender are soulful vocals, abstract guitar, deep bass and ambient synth soundscapes. Ellwood Fiction House - Melbourne-based music makers AB and Rach create unique songs filled with stories of tyranny, plunder and non-gendered romantic endeavours.